Leaker OnLeaks has allegedly obtained factory CAD renderings of the Samsung Galaxy Note 9. Onleaks — in collaboration with 91mobiles — has provided a 360-degree video of the flagship, based on high-res 4K images. The video showcases that the button placement hasn’t changed much from the Note 8, so expect the volume rocker, Bixby button and 3.5mm audio socket to remain in the same locations. The fingerprint sensor has been moved to below the camera setup, similar to the S9, so that it’s easier to reach. However, if those CAD renderings are correct, it means we’ll have to wait for the Galaxy S10 before a smartphone with an under display fingerprint sensor. 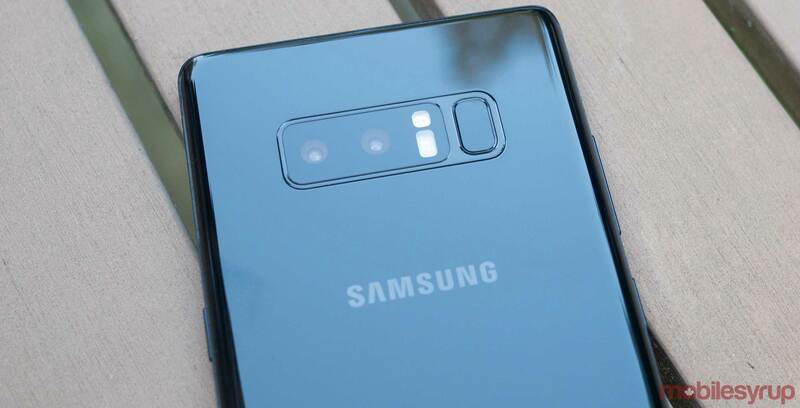 91Mobiles and Onleaks also reported the dimensions of the Note 9. The phone reportedly measures 161.9 x 76.3 x 8.8mm, making it a bit thicker than the Note 8. Screen-size will also be 6.3-inches, the same as its predecessor. Further, rumours point to the Note 9 featuring a Snapdragon 845 or Exynos 9810 chipset, 6GB of RAM and up to 256GB of storage. Additionally, it’s powered by a 3,850mAh battery and sports a new Crown UX interface. Samsung will likely unveil the Galaxy Note 9 sometime this summer.